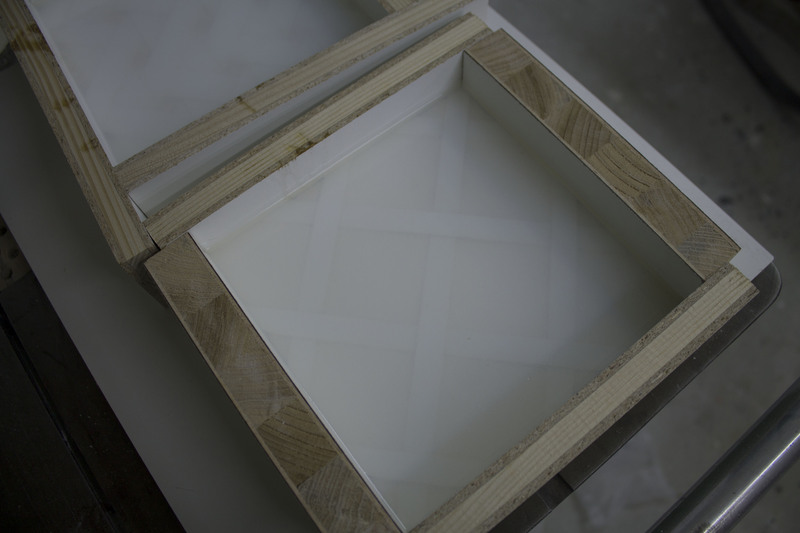 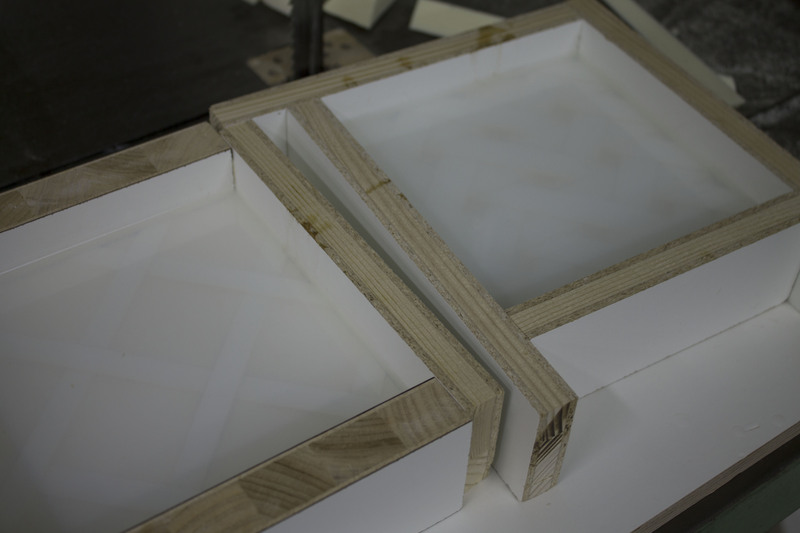 The printed patterns are the template for building the first negative. 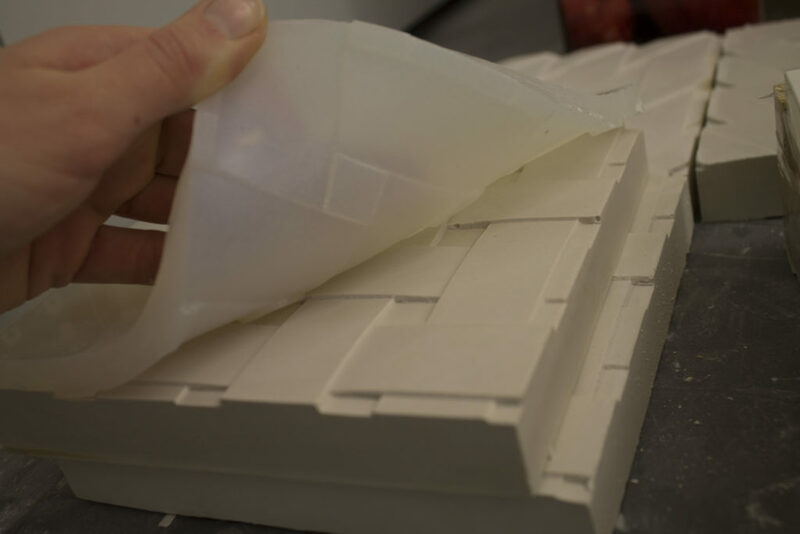 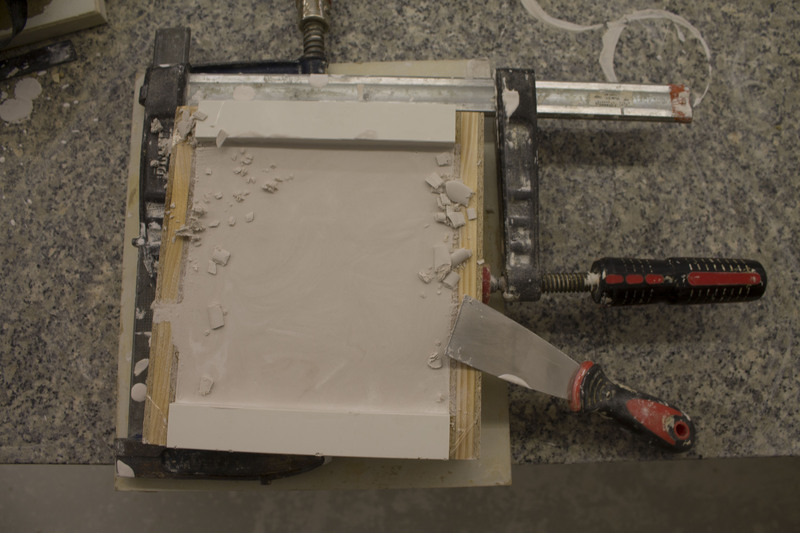 Making an imprint with silicone. 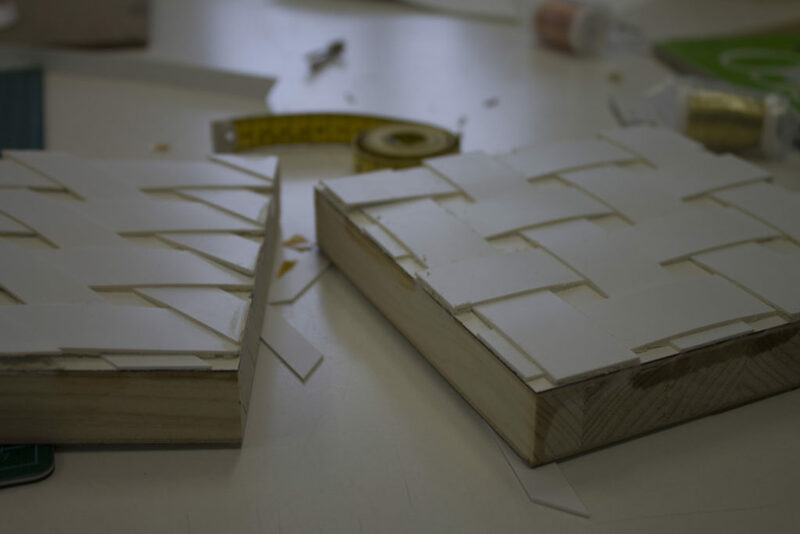 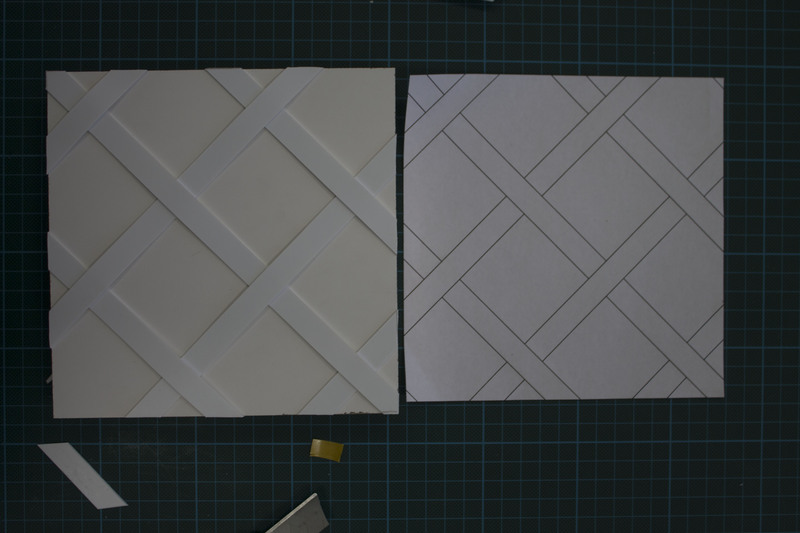 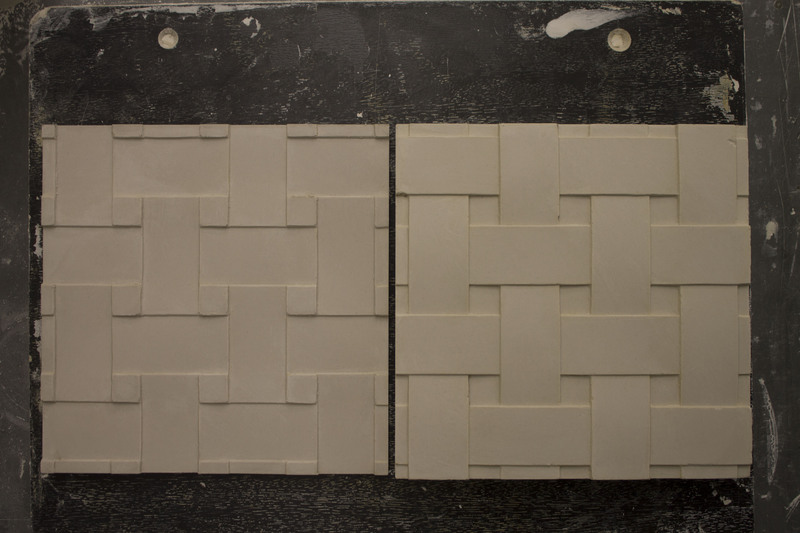 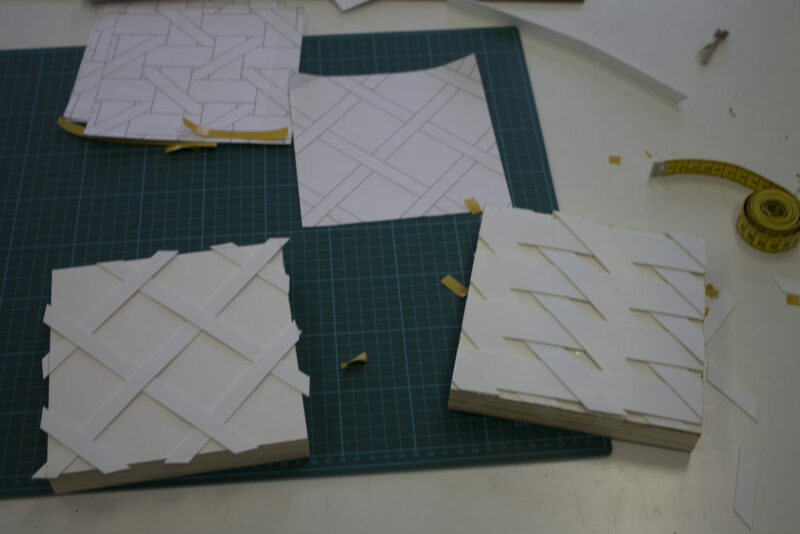 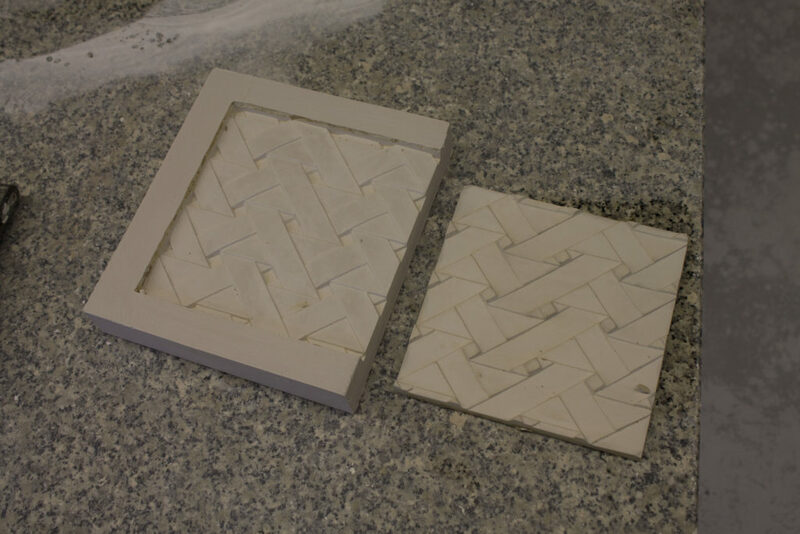 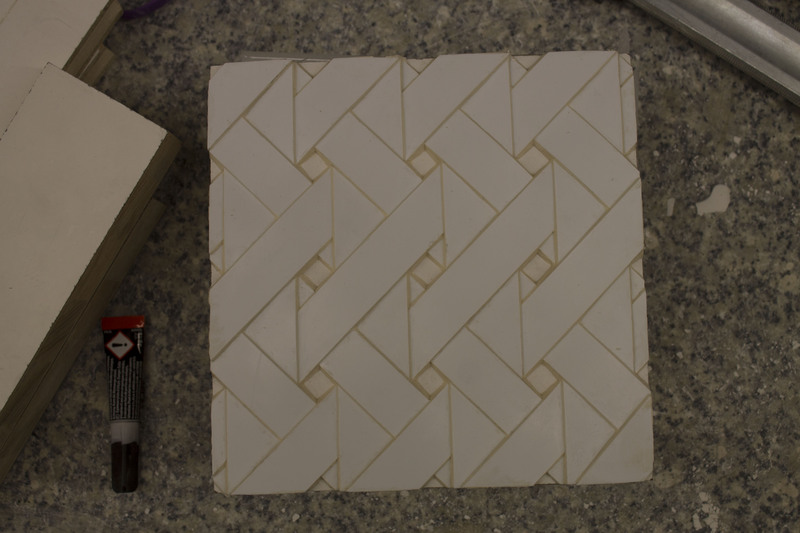 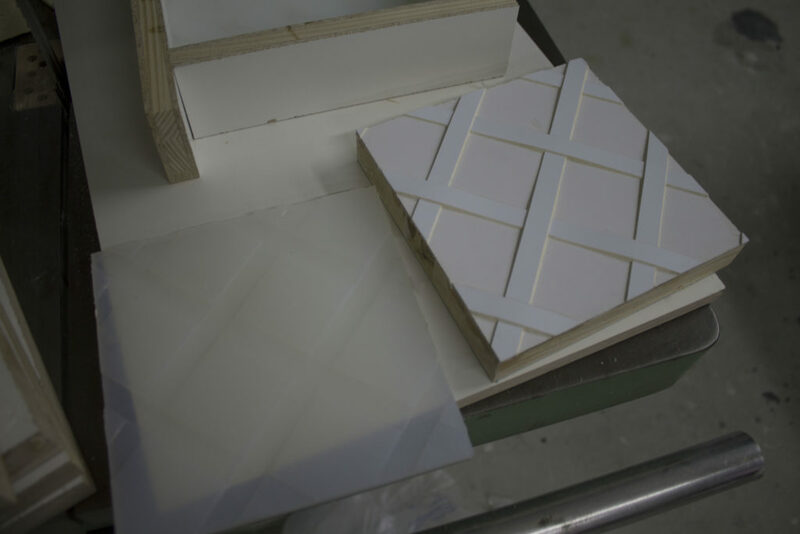 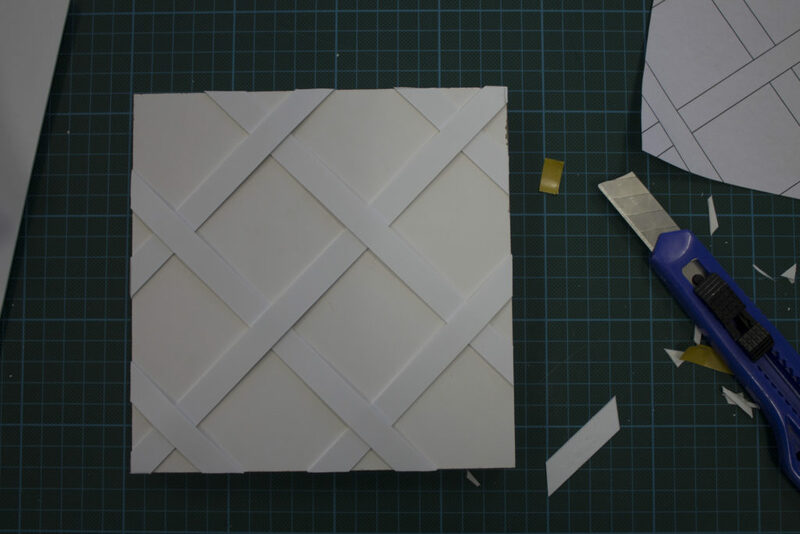 The tiles will have two sides which show the positive and the negative of the woven structure. 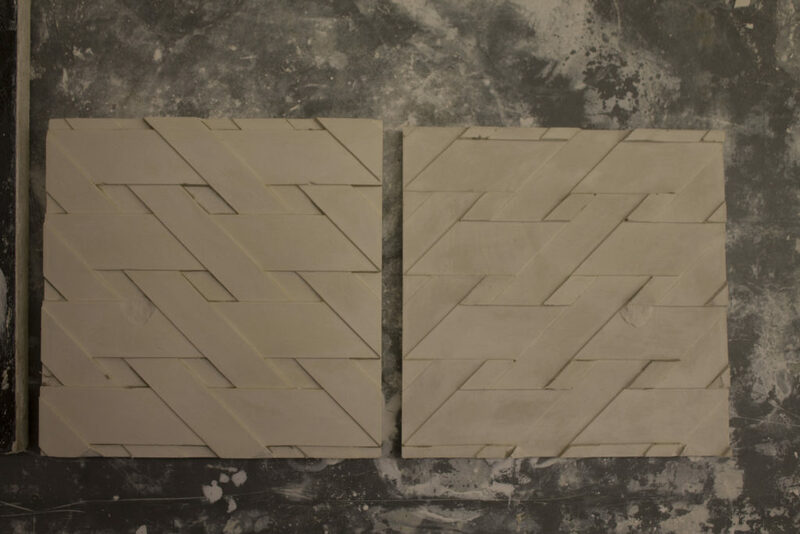 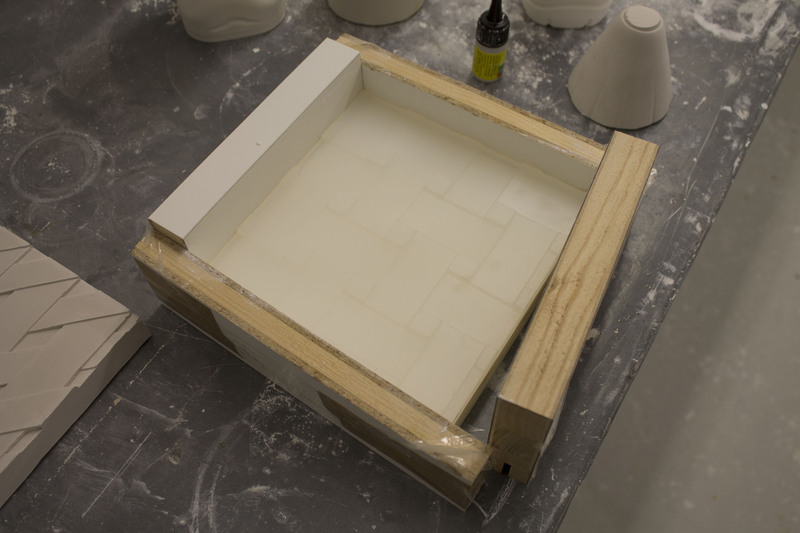 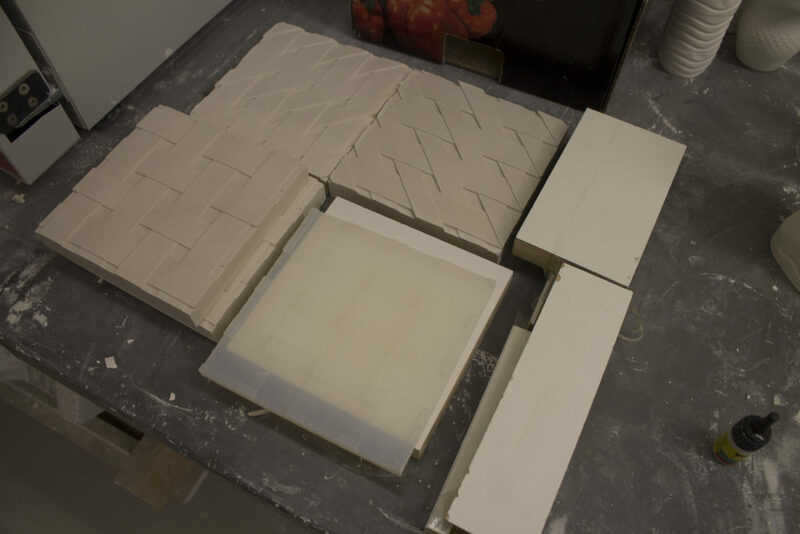 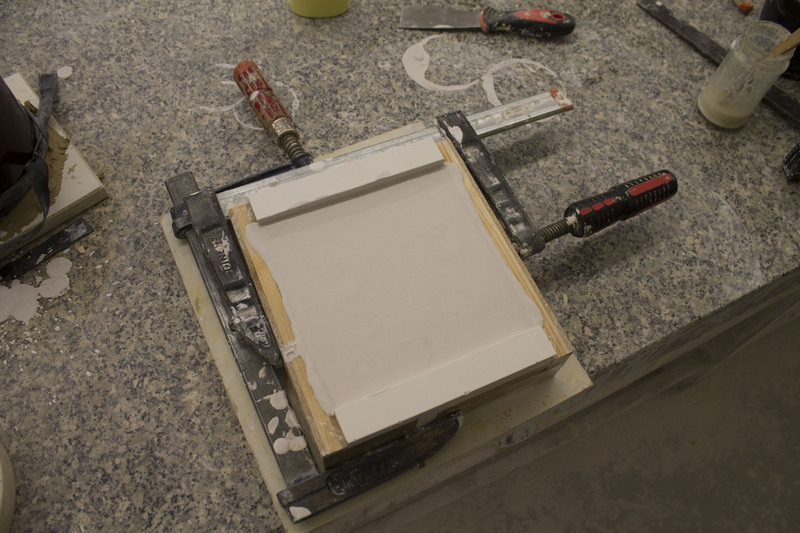 One side will be glazed, the structure of the other one will help to put the tile on the wall.